Liz had childhood asthma and was not active in her youth. She remembers getting doctor’s notes each year she was in school, so she had an excuse to get out of gym class or anything involving exercise! Liz has a Bachelor of Science from Colorado State University in Human Development and Family Studies. Liz also has a Master of Arts in Counseling from the University of Colorado in Counseling and Human Services. Prior to being a Wellness Coach, Liz was a School Counselor. 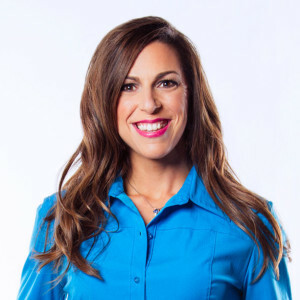 She is Certified Wellness Coach, USA Triathlon Level 1 Coach, Certified Sports Nutritionist, Certified Personal Trainer, and a Group Exercise Instructor. Liz is proud to be one of the few natives left in Colorado, and she enjoys playing in the outdoors in all seasons. When she isn’t working, Liz enjoys traveling – she only has two continents left to explore.